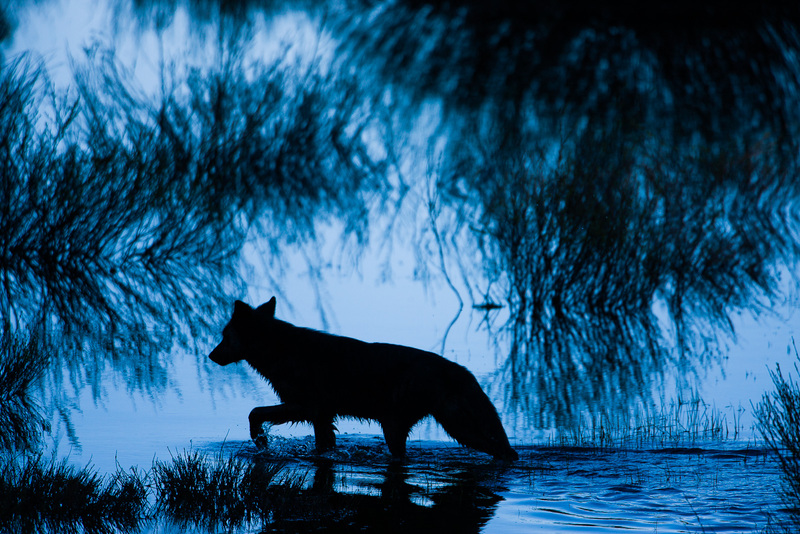 Black wolf makes his morning rounds through the shadows within the marsh lands. This wolf is known to be a loner of the pack up from the North western part of Yellowstone. Photo © copyright by Lance B. Carter.